We’re two weeks into January, and by this time, many of our friends and family have started to waver on their New Years resolutions. Recent statistics show that just 8% of people who make New Years resolutions actually stick to their goals for the entire year. Not you, though! You’re ready to tackle your training goals for 365 days and beyond, and what you need is the perfect base layer to keep you dry and comfortable. Base layers come in tons of different materials and styles, so it’s important to know which type will best suit your specific needs. However, the goal of base layers is the same no matter what activity you’re doing: to stay dry and either warm or cool, depending on the conditions you are training in. The right base layer can make all the difference in your ability to train with comfort, endurance, and mobility. The best part about finding the perfect base layer is that you can wear it year-round in any conditions and it adapts to your needs in that climate. The two most important things to understand and consider when choosing a base layer are its’ fast-drying and wicking abilities. In case you didn’t know, “wicking” is the process of absorbing the sweat off your skin and into the fabric. 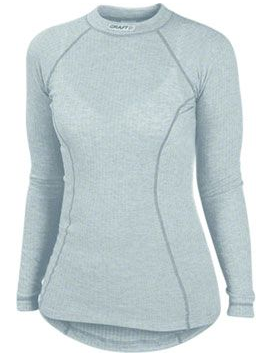 The ideal base layer is made from material that is both quick at wicking and drying, fits like a second skin, and is versatile enough so that you can wear it in all types of weather conditions. We recommend wearing a base layer made from a synthetic material — preferably polyester. Another type of synthetic material that base layers have commonly been constructed from is polypropylene, which is known for its’ ultra fast drying abilities. However, it’s not very comfortable, and absorbs orders like no other, which is why most manufacturers have abandoned polypropylene. All that being said, the perfect base layer is difficult to find, but not impossible. We picked out a few great options to make the selection process easier for you. 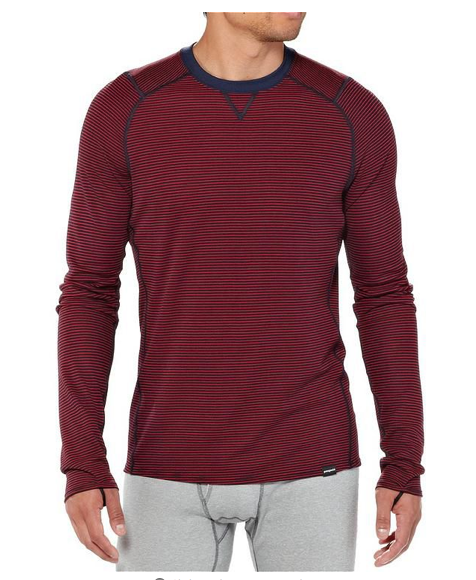 Both the Men’s Lightweight Crew and the Women’s Lightweight Zip Neck are made from recycled polyester (eco-friendly!) that’s quick to both wick and dry. But unlike most synthetic materials that lock in odor even after washing, the Capilene® material also features a Polygiene® technology that keeps the garment smelling fresh. With these beauties, you don’t have to compromise. The lightweight factor is great in mild conditions to keep you cool and dry, as they offer little insulation and wick/dry very quickly. We also love the quarter zip on the women’s garment so you can easily cool off or warm up depending on what you’re doing out there in the wild. We’ve tested these awesome, uninsulated Craft base layers by doing various activities in different weather conditions and found them to be one of our favorites on the market right now. We love how warm the vertical polyester ribbing keeps you in cold conditions, making them a great base layer for snow sports. They aren’t the best for warm conditions (we don’t recommend wearing them in temperatures over 60 degrees Fahrenheit) and they don’t have the Polygiene® technology that Patagonia’s Capilene® material does. However, we’re obsessed with how the material feels against your skin as well as how perfect the sleeves fit. You can’t go wrong with these guys. Each of these base layer tops also have matching bottoms — click the pics to check those out as well! Do you use base layers religiously? Sometimes? Never? Have a tried and true favorite that we didn’t mention? Let us know!